GAH, in love with your cup!! stinkin' CUTE! 🙂 love the other swaps too, you were a busy lady this month! I like the post card swap idea. I'm gonna have to check that out. I love your mug! So cute! Thanks for taking part! you were busy swapping! Love all the nails polish, that mug you got is gorgeous! 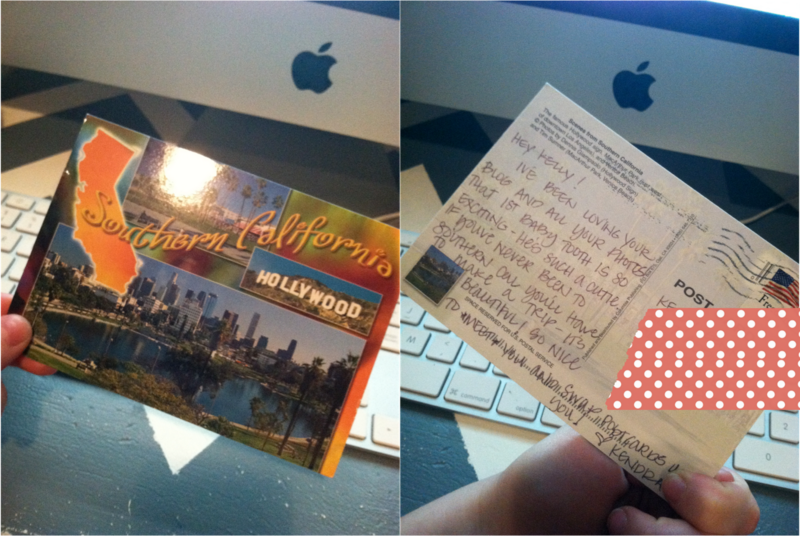 and the postcard swap is an awesome idea!!! I am doing a coffee mug swap on my blog this Thursday! AH! Another mug swap? I will seriously have to consider this! Thanks! Some fab swaps in there! 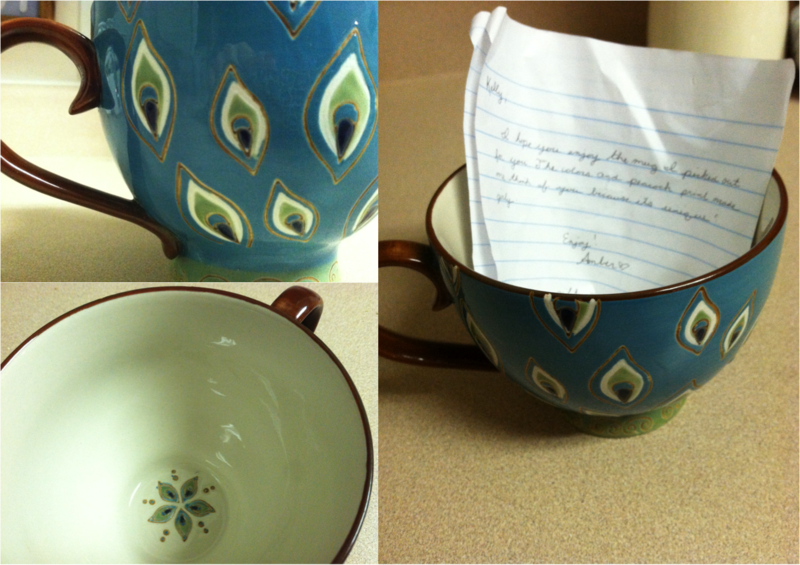 Love the cute inside of your mug soo adorable! haha I'm on swap overload too! Love the mug you got and I LOVE LOVE LOVE my mug too! Thank you so much 🙂 I got my post up to showcase it! Have a great day!! Definitely! It's super inexpensive and unique! busy busy girl!! glad you liked the polishes thanks so much for participating!! I love your mug! It's super cute! Found you from the swap, and now following you! love it!!!! i've been a swapping crazed person too! it's so fun! i have a scarf swap i'm doing too! keep me posted if you find anymore fun ones!!! happy friday…love all you got! Wow you've got some great stuff! I do way too many swaps too, but it's so nice connecting with new people and shopping/getting cool stuff that I can't stop! Ohhh!! My polish swap busted too! Except it didn't just leak, it was busted, so I wasn't able to resuscitate them lol. Very creative thinking on your part! Oh my busted! There was glass all up in it. 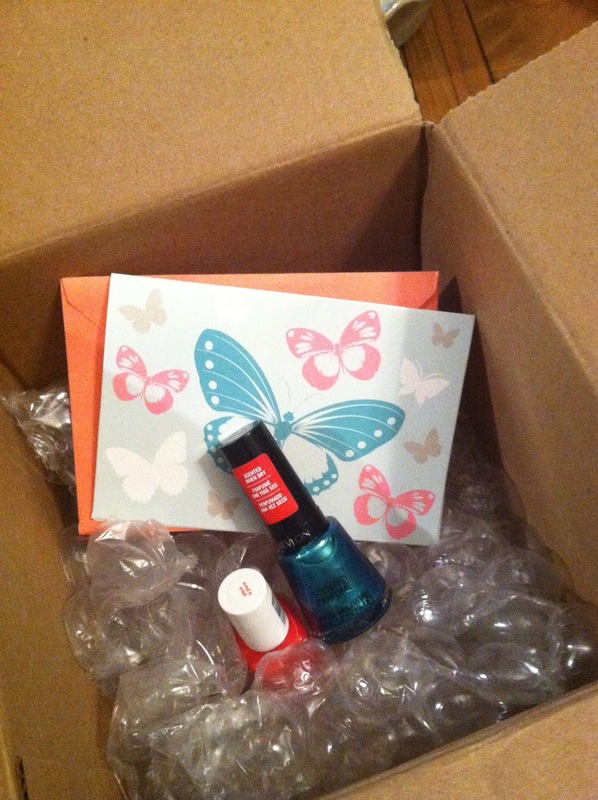 But she definitely went above and beyond with multiple polishes!